The following (S), (C), and (U) marks indicate Secret, Confidential, and Unclassified security ratings, respectively, that are for historical interest only. This page and the document it comes from, entitled OXCART History (DON: SC-86-010115), has been UNCLASSIFIED according to Senior Crown Security Class Guide dated 11/01/89, approved and dated 25 Feb. 91. NOTE: This document is believed to have originated with the Central Intelligence Agency. The listed author's name is Thomas P. McIninch. (S) One spring day in 1962 a test pilot named Louis Schalk, employed by the Lockheed Aircraft Corporation, took off from the Nevada desert in an aircraft the like of which had never been seen before. A casual observer would have been startled by the appearance of this vehicle; he would perhaps have noticed especially its extremely long, slim, shape, its two enormous jet engines, its long sharp, projecting nose, and its swept-back wings which appeared far too short to support the fuselage in flight. He might well have realized that this was a revolutionary airplane; he could not have known that it would be able to fly at three times the speed of sound for more than 3,000 miles without refueling, or that toward the end of its flight, when fuel began to run low, it could cruise at over 90,000 feet. Still less would he have known of the equipment it was to carry, or of the formidable problems attending its design and construction. (U) There was, of course, no casual observer present. The aircraft had been designed and built for reconnaissance; it was projected as a successor to the U-2. Its development had been carried out in profound secrecy. Despite the numerous designers, engineers, skilled and unskilled workers, administrators and others who had been involved in the affair, no authentic accounts, and indeed scarcely any accounts at all, had leaked. Many aspects have not been revealed to this day, and many are likely to remain classified for some time to come. (S) The official designation of the aircraft was A-12. By a sort of inspired perversity, however, it came to be called OXCART, a code word also applied to the program under which it was developed. The secrecy in which it was so long shrouded has lifted a bit, and the purpose of this article is to give some account of the inception, development, operation, and untimely demise of this remarkable airplane. The OXCART no longer flies, but it left a legacy of technological achievement which points the way to new projects. And it became the progenitor of a similar but somewhat less sophisticated reconnaissance vehicle called the SR-71, whose existence is well known to press and public. End of logical page 1. (S)invaluable source of intelligence information for almost four years, until on 1 May 1960, Francis Gary Powers was shot down near Sverdlovsk. (U) Meanwhile, even as the U-2 commenced its active carreer, efforts were under way to make it less vulnerable. The hope was to reduce the vehicle's radar cross-section, so that it would become less susceptible to detection. New developments in radar-absorbing materials were tried out and achieved considerable success, though not enough to solve the problem. Various far-out designs were explored, most of them seeking to create an aircraft capable of flying at extremely high altitudes, though still at relatively slow speed. None of them proved practicable. (S) Eventually, in the fall of 1957, Bissell arranged with a contractor for a job of operations analysis to determine how far the probability of shooting down an airplane varied respectively with the plane's speed, altitude, and radar cross-section. This analysis demonstrated that supersonic speed greatly reduced the chances of detection by radar. The probability of being shot down was not of course reduced to zero, but it was evident that the supersonic line of approach was worth serious consideration. Therefore, from this time on, attention focused increasingly on the possibility of building a vehicle which could fly at extremely high speeds as well as great altitudes, and which would also incorporate the best that could be attained in radar-absorbing capabilities. Lockheed Aircraft Corporation and Convair Division of General Dynamics were informed of the general requirements, and their designers set to work on the problem without as yet receiving any contract or funds from the government. From the fall of 1957 to late 1958 these designers constantly refined and adapted their respective schemes. (S) Bissell realized that development and production of such an aircraft would be exceedingly expensive, and that in the early stages at least it would be doubtful whether the project could succeed. To secure the necessary funds for such a program, high officials would have to receive the best and most authoritative presentation of whatever prospects might unfold. Accordingly, he got together a panel consisting of two distinguished authorities on aero- dynamics and one physicist, with E. M. Land of the Polaroid Corporation as chairman. Between 1957 and 1959 this panel met about six times, usually in Land's office in Cambridge. Lockheed and Convair designers attended during parts of the sessions. So also did the Assistant Secretaries of the Air Force and Navy concerned with research and development, together with one or two of their technical advisors. One useful consequence of the participation of service representatives was that bureaucratic and jurisdictional feuds were reduced virtually to nil. Throughout the program both Air Force and Navy gave valuable assistance and cooperation. End of logical page 2. (S)Killian were already aware of what was going on, and when CIA officials went to them with the recommendations of the panel they received a favorable hearing. The President gave his approval. Lockheed and Convair were then asked to submit definite proposals, funds were made available to them, and the project took on the code name GUSTO. (C) Less than a year later the two proposals were essentially complete, and on 20 July 1959, the President was again briefed. This time he gave final approval, which signified that the program could get fully under way. Lockheed Convair Speed Mach 3.2 Mach 3.2 Range (total) 4,120 n.m. 4,000 n.m. Range (at altitude) 3,800 n.m. 3,400 n.m.
Start 84,500 ft. 85,000 ft. Mid-range 91,000 ft. 88,000 ft. End 97,600 ft. 94,000 ft.
(S) The Lockheed design was selected, Project GUSTO terminated, and the program to develop a new U-2 follow-on aircraft was names OXCART. On 3 September 1959, CIA authorized Lockheed to proceed with antiradar studies, aerodynamic structural tests, and engineering designs, and on 30 January 1960 gave the green light to produce 12 aircraft. (S) Pratt and Whitney Division of United Aircraft Corporation had been involved in discussions of the project, and undertook to develop the propulsion system. Their J-58 engine, which was to be used in the A-12, had been sponsored originally by the US Navy for its own purposes, and was to be capable of a speed of Mach 3.0. Navy interest in the development was diminishing, however, and the Secretary of Defense had decided to withdraw from the program at the end of 1959. CIA's requirement was that the engine and aircraft be further developed and optimized for a speed of Mach 3.2. The new contract called for initial assembly of three advanced experimental engines for durability and reliability testing, and provision of three engines for experimental flight testing in early 1961. End of logical page 3. (S)inertial navigation and automatic flight control system. The Firewell Corpora- tion and the David Clark Corporation became the prime sources of pilot equipment and associated life support hardware. (U) Lockheed's designer was Clarence L. (Kelly) Johnson, creator of the U-2, and he called his new vehicle not A-12 but A-11. Its design exhibited many innovations. Supersonic airplanes, however, involve a multitude of extremely difficult design problems. Their payload-range performance is highly sensitive to engine weight, structural weight, fuel consumption, and aerodynamic efficiency. Small mistakes in predicting these values can lead to large errors in performance. Models of the A-11 were tested and retested, adjusted and readjusted, during thousands of hours in the wind tunnel. Johnson was confident of his design, but no one could say positively whether the bird would fly, still less whether it would fulfill the extremely demanding requirements laid down for it. (U) To make the drawings and test the model was one thing; to build the air- craft was another. The most numerous problems arose from the simple fact that in flying through the atmosphere at its designed speed the skin of the air- craft would be subjected to a temperature of more than 550 degrees Fahrenheit. For one thing, no metal hitherto commonly used in aircraft production would stand this temperature, and those which would do so were for the most part too heavy to be suitable for the purpose in hand. (S) During the design phase Lockheed evaluated many materials and finally chose an alloy of titanium, characterized by great strength, relatively light weight, and good resistance to high temperatures. Titanium was also scarce and very costly. 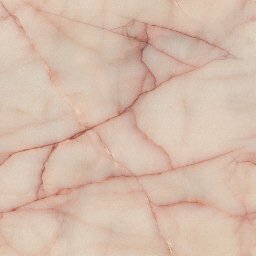 Methods for milling it and controlling the quality of the product were not fully developed. Of the early deliveries from Titanium Metals Corporation some 80 percent had to be rejected, and it was not until 1961, when a delegation from headquarters visited the officials of that company, informed them of the objectives and high priority of the OXCART program, and gained their full cooperation, that the supply became consist- ently satisfactory. (S) But this only solved an initial problem. One of the virtues of titanium was its exceeding hardness, but this very virtue gave rise to immense difficulties in machining and shaping the material. Drills which worked well on aluminum soon broke to pieces; new ones had to be devised. Assembly-line production was impossible; each of the small OXCART fleet was, so to speak, turned out by hand. The cost of the program mounted well above original estimates, and it soon began to run behind schedule. One after another, however, the problems were solved, and their solution constituted the greatest single technological achievement of the entire enterprise. Henceforth it became practicable, if expensive, to build aircraft out of titanium. End of logical page 4. (S)aircraft, would heat up to about 350 degrees, so that special fuel had to be supplied and the tanks themselves rendered inert with nitrogen. Lubricating oil was formulated for operation at 600 degrees F., and contained a diluent in order to remain fluid at operation below 40 degrees. Insulation on the plane's intricate wiring soon became brittle and useless. During the lifetime of the OXCART no better insulation was found; the wiring and related connectors had to be given special attention and handling at great cost in labor and time. (S) Then there was the unique problem of the camera window. The OXCART was to carry a delicate and highly sophisticated camera, which would look out through a quartz glass window. The effectiveness of the whole system depended upon achieving complete freedom from optical distortion despite the great heat to which the window would be subjected. Thus the question was not simply one of providing equipment with resistance to high temperature, but of assuring that there should be no unevenness of tempera- ture throughout the area of the window. It took three years of time and two million dollars of money to arrive at a satisfactory solution. The program scored one of its most remarkable successes when the quartz glass was successfully fused to its metal frame by an unprecedented process involving the use of high frequency sound waves. (S) Another major problem of different nature was to achieve the low radar cross-section desired. The airframe areas giving the greatest radar return were the vertical stabilizers, the engine inlet, and the forward side of the engine nacelles. Research in ferrites, high temperature absorbing materials and high- temperature plastic structures was undertaken to find methods to reduce the return. Eventually the vertical tail section fins were constructed from a kind of laminated "plastic" material-the first time that such a material had been used for an important part of an aircraft's structure. With such changes in structural materials, the A-11 was redesignated A-12, and as such has never been publically disclosed. (C) To test the effectiveness of antiradar devices a small-scale model is inadequate; only a full-size mock-up will do. Lockheed accordingly built one of these, and as early as November 1959, transported it in a specially designed trailer truck over hundreds of miles of highway from the Burbank plant to the test area. Here it was hoisted to the top of a pylon and looked at from various angles by radar. Tests and adjustments went on for a year and a half before the results were deemed satisfactory. In the course of the process it was found desirable to attach some sizable metallic constructions on each side of the fuselage, and Kelly Johnson worried a good deal about the effect of these protuberances on his design. In flight tests, however, it later developed that they imparted a useful aerodynamic lift to the vehicle, and years afterward Lockheed's design for a supersonic transport embodied similar structures. End of logical page 5. (S)latest high performance fighters, emotionally stable, and well motivated. They were to be between 25 and 40 years of age, and the size of the A-12 cockpit prescribed that they be under six feet tall and under 175 pounds in weight. (S) Air Force files were screened for possible candidates and a list of pilots obtained. Psychological assessments, physical examinations and refinement of criteria eliminated a good many. Pre-evaluation processing resulted in sixteen potential nominees. This group underwent a further intensive security and medical scrutiny by the Agency. Those who remained were then approached to take employment with the Agency on a highly classified project involving a very advanced aircraft. In November 1961, commitments were obtained from five of the group. The small number recruited at this stage required that a second search be undertaken. (S) When the final screening was complete the pilots selected from the program were William L. Skliar, Kenneth S. Collins, Walter Ray, Lon Walter, Mele Vojvodich, Jr., Jack W. Weeks, Ronald "Jack" Layton, Dennis B. Sullivan, David P. Young, Francis J. Murray, and Russell Scott. After the selection, arrangements were made with the Air Force to effect appropriate transfers and assignments to cover their training and to lay the basis for their transition from military to civilian status. Compensation and insurance arrangements were similar to those for the U-2 pilots. (U) One thing to be decided in the earliest stages of the program was where to base and test the aircraft. Lockheed clearly could not do the business at Burbank, where the aircraft were being built, if for no other reason that its runway was too short. The ideal location ought to be remote from metropoli- tan areas; well away from civil and military airways to preclude observation; easily accessible by air; blessed with good weather the year round; capable of accommodating large numbers of personnel; equipped with fuel storage facilities; fairly close to an Air Force installation; and possessing at least an 8,000 foot runway. There was no such place to be found. (S) Ten Air Force bases programmed for closure were considered, but none provided the necessary security, and annual operating costs at most of them would be unacceptable. Edwards Air Force Base in California seemed a more likely candidate, but in the end it also was passed over. Instead a secluded site in Nevada was finally picked. It was deficient in personnel accomodations and POL storage, and its long-unused runway was inadequate, but security was good, or could be made so, and a moderate construction program could provide sufficient facilities. Lockheed estimated what would be needed in such respects as monthly fuel consumption, hangars and shop space, housing for personnel, and runway specifications. Armed with the list of major requirements, Headquarters came up with a construction and engineering plan. And in case anyone became curious about what was going on at this re- mote spot, a cover story stated that the facilities were being prepared for certain radar studies, to be conducted by an engineering firm with support from the Air Force. The remote location was explained as necessary to reduce the effect of electronic interference from outside sources. End of logical page 6. (S) Among the lesser snags, one existed because the laws of Nevada required the names of all contractor personnel staying in the state for more than 48 hours to be reported to state authorities. It was generally felt that to list all these names and identify the companies involved would be likely to give the whole show away. The Agency's General Counsel, however, discovered that Government employees were exempted from these requirements. Thenceforth all contractor personnel going to the site received appointments as Govern- ment consultants, and if questions were asked the reply could be that no one but government employees were at this site. (C) Construction began in earnest in September 1960, and continued on a double-shift schedule until mid-1964. One of the most urgent tasks was to build the runway, which according to initial estimates of A-12 requirements must be 8,500 feet long. The existing asphalt runway was 5,000 feet long and incapable of supporting the weight of the A-12. The new one was built between 7 September and 15 November and involved pouring over 25,000 yards of concrete. Another major problem was to provide some 500,000 gallons of PF-1 aircraft fuel per month. Neither storage facilities nor means of transporting fuel existed. After considering airlift, pipeline, and truck trans- port, it was decided that the last-named was the most economical, and could be made feasible by resurfacing no more than eighteen miles of highway leading into the base. (C) Three surplus Navy hangars were obtained, dismantled, and erected on the north side of the base. Over 100 surplus Navy housing buildings were transported to the base and made ready for occupancy. By early 1962 a fuel tank farm was ready, with a capacity of 1,320,000 gallons. Warehousing and shop space was begun and repairs made to older buildings. All this, together with the many other facilities that had to be provided, took a long time to complete. Meanwhile, however, the really essential facilities were ready in time for the forecast delivery date of Aircraft No. 1 in August 1961. (U) "Schedules are in jeopardy on two fronts. One is the assembly of the wing and the other is in satisfactory development of the engine. Our evaluation shows that each of these programs is from three to four months behind the current schedule." End of logical page 7. (S)To this Bissell replied: (U) "I have learned of your expected additional delay in first flight from 30 August to 1 December 1961. This news is extremely shocking on top of our previous slippage from May to August and my understanding as of our meeting 19 December that the titanium extrusion problems were essentially overcome. I trust this is the last of such disappointments short of a severe earthquake in Burbank." (U) Realizing that delays were causing the cost of the program to soar, Headquarters decided to place a top-level aeronautical engineer in residence at Lockheed to monitor the program and submit progress reports. (C) Delays nevertheless persisted. On 11 September, Pratt and Whitney informed Lockheed of their continuing difficulties with the J-58 engine in terms of weight, delivery, and performance. Completion date for Aircraft No. 1 by now had slipped to 22 December 1961, and the first flight to 27 Feb- ruary 1962. Even on this last date the J-58 would not be ready, and it was therefore decided that a Pratt and Whitney J-75 engine, designed for the F-105 and flown in the U-2, should be used for early flights. The engine, along with other components, could be fitted to the A-12 airframe, and it could power the aircraft safely to altitudes up to 50,000 feet and at speeds up to Mach 1.6. (S) When this decision had been made, final preparations were begun for the testing phase. In late 1961 Colonel Robert J. Holbury, USAF, was named Commander of the base, with the Agency employee as his Deputy. Support aircraft began arriving in the spring of 1962. These included eight F-101's for training, two T-33's for proficiency flying, a C-130 for cargo transport, a U-3A for administration purposes, a helicopter for search and rescue, and a Cessna- 180 for liaison use. In addition, Lockheed provided an F-104 to act as chase aircraft during the A-12 flight test period. (S) Meanwhile in January 1962, an agreement was reached with the Federal Aviation Agency that expanded the restricted airspace in the vicinity of the test area. Certain FAA air traffic controllers were cleared for the OXCART Project; their function was to insure that aircraft did not violate the order. The North American Air Defense Command established procedures to prevent their radar stations from reporting the appearance of high performance aircraft on their radar scopes. (S) Refueling concepts required prepositioning of vast quantities of fuel at certain points outside the United States. Special tank farms were programmed in California, Eielson AFB Alaska, Thule AB Greenland, Kadena AB Okinawa, and Adana, Turkey. Since the A-12 use specially refined fuel, these tank farms were reserved exclusively for use by the OXCART Program. Very small detachments of technicians at these locations maintained the fuel storage facility and arranged for periodic quality control fuel tests. End of logical page 8. (S)radar test model had been successfully accomplished in November 1959, as described above. A thorough survey of the route in June 1961, ascertained the hazards and problems of moving the actual aircraft, and showed that a package measuring 35 feet wide and 105 feet long could be transported without major difficulty. Obstructing road signs had to be removed, trees trimmed, and some roadsides levelled. Appropriate arrangements were made with police authorities and local officials to accomplish the safe transport of the aircraft. The entire fuselage, minus wings, was crated, covered, and loaded on the special-design trailer, which cost about $100,000. On 26 February 1962, it departed Burbank, and arrived at the base according to plan. (U) Upon arrival reassembly of the aircraft and installation of the J-75 engines began. Soon it was found that aircraft tank sealing compounds had failed to adhere to the metals, and when fuel was put into the tanks numerous leaks oc- curred. It was necessary to strip the tanks of the faulty sealing compounds and reline them with new materials. Thus occurred one more unexpected and exasperating delay in the program. (U) Finally, on 26 April 1962, Aircraft 121 was ready. On that day in accordance with Kelly Johnson's custom, Louis Schalk took it for an unofficial, unannounced, maiden flight lasting some 40 minutes. As in all maiden flights minor problems were detected, but it took only four more days to ready the aircraft for its first official flight. (U) On 30 April 1962, just under one year later than originally planned, the A-12 officially lifted her wheels from the runway. Piloted again by Louis Schalk, it took off at 170 knots, with a gross weight of 72,000 pounds, and climbed to 30,000 feet. Top speed was 340 knots and the flight lasted 59 minutes. The pilot reported that the aircraft responded well and was extremely stable. Kelly Johnson declared it to be the smoothest official first flight of any aircraft he had designed or tested. The aircraft broke the sound barrier on its second official flight, 4 May 1962, reaching Mach 1.1. Again only minor problems were reported. (S) With these flights accomplished, jubilation was the order of the day. The new Director of Central Intelligence, Mr. John McCone, sent a telegram of congratulation to Kelly Johnson. A critical phase had been triumphantly passed, but there remained the long, difficult, and sometimes discouraging process of working the aircraft up to full operational performance. (C) Aircraft No. 122 arrived at base on 26 June, and spent three months in radar testing before engine installations and final assembly. Aircraft No. 123 arrived in August and flew in October. Aircraft No. 124, a two-seated version intended for use in training project pilots, was delivered in November. It was to be powered by the J-58 engines, but delivery delays and a desire to begin pilot training prompted a decision to install the smaller J-75's. The trainer flew initially in January 1963. The fifth aircraft, No. 125, arrived at the area on 17 December. End of logical page 9. (S)over the island, and it was on one of these missions in October that the presence of offensive missiles was discovered. Overflights thereafter became more frequent, but on 27 October an Agency U-2, flown by a Strategic Air Force pilot on a SAC-directed mission, was shot down by a surface-to-air missile. This raised the dismaying possibility that continued manned, high- altitude surveillance of Cuba might become out of the question. The OXCART program suddenly assumed greater significance than ever, and its achievement of operational status became one of the highest national priorities. (S) At the end of 1962 there were two A-12 aircraft engaged in flight tests. A speed of Mach 2.16 and altitude of 60,000 feet had been achieved. Progress was still slow, however, because of delays in the delivery of engines and shortcomings in the performance of those delivered. One of the two test aircraft was still flying with two J-75 engines, and the other with one J-75 and one J-58. It had long since become clear that Pratt & Whitney had been too optimistic in their forecast; the problem of developing the J-58 up to OXCART specifications had proved a good deal more recalcitrant than expected. Mr. McCone judged the situation to be truly serious, and on 3 December he wrote to the President of United Aircraft Corporation. (U) "I have been advised that J-58 engine deliveries have been delayed again due to engine control production problems....By the end of the year it appears we will have barely enough J-58 engines to support the flight test program adequately....Furthernore, due to various engine difficulties we have not yet reached design speed and altitude. Engine thrust and fuel consumption deficiencies at pres- ent prevent sustained flight at design conditions which is so necessary to complete developments." (U) By the end of January 1963, ten engines were available, and the first flight with two of them installed occurred on 15 January. Thenceforth all A-12 aircraft were fitted with their intended propulsion system. Flight testing accelerated and contractor personnel went to a three-shift work day. (U) With each succeeding step into a high Mach regime new problems presented themselves. The worst of all these difficulties-indeed one of the most formidable in the entire history of the program-was revealed when flight testing moved into speeds between Mach 2.4 and 2.8, and the aircraft experienced such severe roughness as to make its operation virtually out of the question. The trouble was diagnosed as being in the air inlet system, which with its controls admitted air to the engine. At the higher speeds the flow of air was uneven, and the engine therefore could not function properly. Only after a long period of experimentation, often highly frustrating and irritating, was a solution reached. This further postponed the day when the A-12 could be declared operationally ready. End of logical page 10. (U)procedures were revised, and it was also found prudent at Burbank to hoist the engine nacelles into the air, rock them back and forth, listen for loose objects, and then remove them by hand. (S) While on a routine flight, 24 May 1963, one of the detachment pilots rec- ognized an erroneous and confusing air speed indication and decided to eject from the aircraft, which crashed 14 miles south of Wendover, Utah. The pilot Kenneth Collins, was unhurt. The wreckage was recovered in two days, and persons at the scene were indentified and requested to sign secrecy agreements. A cover story for the press described the accident as occurring to a F-105, and is still listed in this way on official records. (U) All A-12 aircraft were grounded for a week during investigation of the accident. A plugged pitot static tube in icing conditions turned out to be responsible for the faulty cockpit instrument indications-it was not some- thing which would hold things up for long. (S) Loss of this aircraft nevertheless precipitated a policy problem which had been troubling the Agency for some time. With the growing number of A-12's, how much longer could the project remain secret? The program had gone through development, construction, and a year of flight testing without attracting public attention. But the Department of Defense was having difficulty in concealing its participation because of the increasing rate of expenditures, otherwise unexplained. There was also a realization that the technological data would be extremely valuable in connection with feasibility studies for the SST. Finally, there was a growing awareness in the higher reaches of the aircraft industry that something new and remarkable was going on. Rumors spread, and gossip flew about. Commercial airline crews sighted the OXCART in flight. The editor of Aviation Week (as might be expected) indicated his knowledge of developments at Burbank. The secrecy was thinning out. (U) "The United States has successfully developed an advanced experi- mental jet aircraft, the A-11, which has been tested in sustained flight at more than 2,000 miles per hour and at altitudes in excess of 70,000 feet. The performance of the A-11 far exceeds that of any other aircraft in the world today. The development of this aircraft has been made possible by major advances in aircraft technology of great significance for both military and commercial applications. Several A-11 aircraft are now being flight tested at Edwards Air Force Base in California. The existence of this program is being disclosed today to permit the orderly exploitation of this advanced technology in our military and commercial program." End of logical page 11. (U)The president went on to mention the "mastery of the metallurgy and fabrication of titanium metal" which has been achieved, gave credit to Lockheed and to Pratt & Whitney, remarked that appropriate members of the Senate and House had been kept fully informed, and prescribed that the detailed performance of the A-11 would be kept strictly classified. (S) The President's reference to the "A-11" was of course deliberate. "A-11" had been the original design designation for the all-metal aircraft first proposed by Lockheed; subsequently it became the design designation for the Air Force YF-12A interceptor which differed from its parent mainly in that it carried a second man for launching air-to-air missiles. To preserve the distinction between the A-11 and the A-12 Security had briefed practically all witting personnel in government and industry on the impending announce- ment. OXCART secrecy continued in effect. There was considerable specula- tion about an Agency role in the A-11 development, but it was never acknowledged by the government. News headlines ranged from "US has dozen A-11 jets already flying" to "Secret of sizzling new plane probably history's best kept." (U) The President also said that "the A-11 aircraft now at Edwards Air Force Base are undergoing extensive tests to determine their capabilities as long- range interceptors." It was true that the Air Force in October 1960, had contracted for three interceptor versions of the A-12, and they were by this time available. But at the moment when the President spoke, there were no A-11's at Edwards and there never had been. Project officials had known that the public announcement was about to be made, but they had not been told exactly when. Caught by surprise, they hastily flew two Air Force YF-12A's to Edwards to support the President's statement. So rushed was this operation, so speedily were the aircraft put into hangars upon arrival, that heat from them activated the hangar sprinkler system, dousing the reception team which awaited them. (S) Thenceforth, while the OXCART continued its secret career at its own site, the A-11 performed at Edwards Air Force Base in a considerable glare of publicity. Pictures of the aircraft appeared in the press, correspondents could look at it and marvel, stories could be written. Virtually no details were made available, but the technical journals nevertheless had a field day. The unclassified Air Force and Space Digest, for example, published a long article in its issue of April 1964, commencing: "The official pictures and statements tell very little about the A-11. But the technical literature from open sources, when carefully interpreted, tells a good deal about what it could and, more importantly, what it could not be. Here's the story ..."
End of logical page 12. (U)safely. Defects were corrected and improvements made. All concerned gained experience with the particular characteristics and idiosyncrasies of the vehicle. (S) The air inlet and related control continued for a long time to present the most troublesome and refractory problem. Numerous attempts failed to find a remedy, even though a special task force concentrated on the task. For a time there was something approaching despair, and the solution when finally achieved was greeted with enormous relief. After all, not every experimental aircraft of advanced performance has survived its flight testing period. The possibility existed that OXCART also would fail, despite the great cost and effort expended upon it. (S) A few dates and figures will serve to mark the progress of events. By the end of 1963 there had been 573 flights totalling 765 hours. Nine aircraft were in the inventory. On 20 July 1963 test aircraft flew for the first time at Mach 3; in November Mach 3.2 (the design speed) was reached at 78,000 feet altitude. The longest sustained flight at design conditions occurred on 3 February 1964; it lasted to ten minutes at Mach 3.2 and 83,000 feet. By the end of 1964 there had been 1,160 flights, totalling 1,616 hours. Eleven aircraft were then available, four of them reserved for testing and seven assigned to the detachment. (C) The record may be put in another way. Mach 2 was reached after six months of flying; Mach 3 after 15 months. Two years after the first flight the aircraft had flown a total of 38 hours at Mach 2, three hours at Mach 2.6, and less than one hour at Mach 3. After three years, Mach 2 time had increased to 60 hours, Mach 2.6 time time to 33 hours, and Mach 3 time to nine hours; all Mach 3 time, however, was by test aircraft, and detachment aircraft were still restricted to mach 2.9. (S) As may be seen from the figures, most flights were of short duration, averaging little more than an hour each. Primarily this was because longer flights were unnecessary at this stage of testing. It was also true, however, that the less seen of OXCART the better, and short flights helped to preserve the secrecy of the proceedings. Yet it was virtually impossible for an aircraft of such dimensions and capabilities to remain inconspicuous. At its full speed OXCART had a turning radius of no less than 86 miles. There was no question of staying close to the airfield; its shortest possible flights took it over a very large expanse of territory. End of logical page 13. (S)fifteen minutes above Mach 3.1. Its total range was 2,580 nautical miles, with altitudes between 75,600 and 80,000 feet. (U) Two more aircraft were lost during this phase of the program. On 9 July 1964 Aircraft No. 133 was making its final approach to the runway when at altitude of 500 feet and airspeed of 200 knots it began a smooth steady roll to the left. Lockheed test pilot Bill Park could not overcome the roll. At about a 45 degree bank angle and 200 foot altitude he ejected. As he swung down to the vertical in the parachute his feet touched the ground, for what must have been one of the narrower escapes in the perilous history of test piloting. The primary cause of the accident was that the servo for the right ourboard roll and pitch control froze. No news of the accident filtered out. (S) On 28 December 1965 Aircraft No. 126 crashed immediately after take- off and was totally destroyed. Detachment pilot Mele Vojvodich ejected safely at an altitude of 150 feet. The accident investigation board determined that a flight line electrician had improperly connected the yaw and pitch gyros-had in effect reversed the controls. This time Mr. McCone directed the Office of Security to conduct an investigation into the possibility of sabotage. While nothing of the sort was discovered, there were indications of negligence, as the manufacturer of the gyro had earlier warned of the possibility that the mechanism could be connected in reverse. No action had been taken, however, even by such an elementary precaution as painting the contacts different colors. Again there was no publicity connected with the accident. (S) The year 1965 saw the test site reach the high point of activity. Completion of construction brought it to full physical size. All detachment pilots were Mach 3.0 qualified. Site population reached 1,835. Contractors were working three shifts a day. Lockheed Constellations made daily flights between the factory at Burbank and the site. Two C-47 flights a day were made between the site and Las Vegas. And officials were considering how and when and where to use OXCART in its appointed role. (S) After the unhappy end of U-2 flights over the Soviet Union, US political authorities were understandably cautious about committing themselves to further manned reconnaissance over unfriendly territory. There was no serious intention to use the OXCART over Russia; save in some unforseeable emergency it was indeed no longer necessary to do so. What then, should be done with this vehicle? (S) The first interest was in Cuba. By early 1964 Project Headquarters began planning for the contingency of flights over that island under a program designated SKYLARK. Bill Park's accident in early July held this program up for a time, but on 5 August Acting DCI Marshall S. Carter directed that SKYLARK achieve emergency operational readiness by 5 November. This involved preparing a small detachment which should be able to do the job over Cuba, though at something less than the full design capability of the OXCART. The goal was to operate at Mach 2.8 and 80,000 feet altitude. End of logical page 14. (C) In order to meet the deadline set by General Carter, camera performance would have to be validated, pilots qualified for Mach 2.8 flight, and coordination with supporting elements arranged. Only one of several equip- ments for electronic countermeasures (ECM) would be ready by November, and a senior intra-governmental group, including representation from the President's Scientific Advisory Committee, examined the problem of operat- ing over Cuba without the full complement of defensive systems. This panel decided that the first few overflights could safely be conducted without them, but the ECM would be necessary thereafter. The delivery schedule of ECM equipment was compatible with this course of action. (S) After considerable modifications to aircraft, the detachment simulated Cuban missions on training flights, and a limited emergency SKYLARK capability was announced on the date General Carter had set. With two weeks notice the OXCART detachment could accomplish a Cuban overflight, though with fewer ready aircraft and pilots than had been planned. (S) During the following weeks the detachment concentrated on developing SKYLARK into a sustained capability, with five ready pilots and five operational aircraft. The main tasks were to determine aircraft range and fuel consumption, attain repeatable reliable operation, finish pilot training, prepare a family of SKYLARK missions, and coordinate routes with North American Air Defense, Continental Air Defense, and the Federal Aviation Authority. All this was accomplished without substantially hindering the main task of working up OXCART to full design capability. We may anticipate the story, however, by remarking that despite all this preparation the OXCART was never used over Cuba. U-2's proved adequate, and the A-12 was reserved for more critical situations. (S) "It was further agreed that we should proceed immediately with all preparatory steps necessary to operate the OXCART over Commu- nist China, flying out of Okinawa. It was agreed that we should proceed with all construction and related arrangements. However, this decision did not authorize the deployment of the OXCART to Okinawa nor the decision to fly the OXCART over Communist China. The decision would authorize all preparatory steps and the expenditure of such funds as might be involved. No decision has been taken to fly the OXCART operationally over Communist China. This decision can only be made by the President." (S) Four days later Brigadier General Jack C. Ledford, Director of the Office of Special Activities, DD/S&T, briefed Mr. Vance on the scheme which had been drawn up for operations in the Far East. The project was called BLACK SHIELD, and it called for the OXCART to operate out of the Kadena Air Force Base in Okinawa. In the first phase, three aircraft would stage to Okinawa for 60-day periods, twice a year, with about 225 personnel involved. End of logical page 15. (S)After this was in good order, BLACK SHIELD would advance to the point of maintaining a permanent detachment at Kadena. Secretary Vance made $3.7 million available to be spent in providing support facilities on the island, which were to be available by early fall of 1965. (S) Meanwhile the Communists began to deploy surface-to-air missiles around Hanoi, thereby threatening our current military reconnaissance capa- bilities. Secretary McNamara called this to the attention of the Under Secretary of the Air Force on 3 June 1965, and inquired about the practicabil- ity of substituting OXCART aircraft for U-2's. He was told that BLACK SHIELD could operate over Vietnam as soon as adequate aircraft perform- ance was achieved. (S) With deployment overseas thus apparently impending in the fall, the detachment went into the final stages of its program for validating the reliability of aircraft and aircraft systems. It set out to demonstrate complete systems reliability at Mach 3.05 and at 2,300 nautical miles range, with penetration altitude of 76,000 feet. A demonstrated capability for three aerial refuelings was also part of the validation process. (S) By this time the OXCART was well along in performance. The inlet, camera, hydraulic, navigation, and flight control systems all demonstrated acceptable reliability. Nevertheless, as longer flights were conducted at high speeds and high temperatures, new problems came to the surface, the most serious being with the electrical wiring system. Wiring connectors and components had to withstand temperatures of more than 800 degrees Fahrenheit, together with structural flexing, vibration, and shock. Continuing malfunctions in the inlet controls, communications equipment, ECM systems, and cockpit instruments were in many cases attributable to wiring failures. There was also disturbing evidence that careless handling was contributing to electrical connector failures. Difficulties persisted in the sealing of fuel tanks. What with one thing and another, officials soon began to fear that the scheduled date for BLACK SHIELD readiness would not be met. Prompt corrective action on the part of Lockheed was in order. The quality of maintenance needed drastic improvement. The responsibility for delivering an aircraft system with acceptable reliability to meet an operational commitment lay in Lockheed's hands. (S) In this uncomfortable situation, John Paragosky, Deputy for Technology, OSA, went to the Lockheed plant to see Kelly Johnson on 3 August 1965. A frank discussion ensued on the measures necessary to insure that BLACK SHIELD commitments would be met, and Johnson concluded that he should himself spend full time at the site in order to get the job done expeditiously. Lockheed President Daniel Haughton offered the full support of the corpora- tion, and Johnson began duty at the site next day. His firm and effective man- agement got Project BLACK SHIELD back on schedule. End of logical page 16. (S)20 November 1965, and two days later Kelly Johnson wrote General Ledford: (S) " ... Over-all, my considered opinion is that the aircraft can be suc- cessfully deployed for the BLACK SHIELD mission with what I would consider to be at least as low a degree of risk as in the early U-2 deployment days. Actually, considering our performance level of more than four times the U-2 speed and three miles more operating altitude, it is probably much less risky than our first U-2 deployment. I think the time has come when the bird should leave its nest." (S) Ten days later the 303 Committee received a formal proposal that OXCART be deployed to the Far East. The Committee, after examining the matter, did not approve. It did agree, however, that short of actually moving aircraft to Kadena all steps should be taken to develop and maintain a quick reaction capability, ready to deploy within a 21-day period at any time after 1 January 1966. (S) There the matter remained, for more than a year. During 1966 there were frequent renewals of the request to the 303 Committee for authorization to deploy OXCART to Okinawa and conduct reconnaissance missions over North Vietnam, Communist China, or both. All were turned down. Among high officials there was difference of opinion; CIA, the Joint Chiefs of Staff, and the Presidents Foreign Intelligence Advisory Board favored the move, while Alexis Johnson representing State, and Defense in the persons of Messrs. McNamara and Vance, opposed it. The proponents urged the necessity of better intelligence, especially on a possible Chinese Communist build-up preparatory to intervention in Vietnam. The opponents felt that better intelligence was not so urgently needed as to justify the political risks of basing the aircraft in Okinawa and thus almost certainly disclosing to Japanese and other propagandists. They also believed it undesirable to use OXCART and reveal something of its capability until a more pressing requirement appeared. At least once, on 12 August 1966, the divergent views were brought up to the President, who confirmed the 303 Committee's majority opinion against deployment. (S) Meanwhile, of course, flight testing and crew proficiency training contin- ued. There was plenty of time to improve mission plans and flight tactics, as well as to prepare the forward area at Kadena. New plans shortened deployment time from the 21 days first specified. Personnel and cargo were to be airlifted to Kadena the day deployment was approved. On the fifth day the first OXCART would depart and travel the 6,673 miles in five hours and 34 minutes. The second would go on the seventh and the third on the ninth day. The first two would be ready for an emergency mission on the eleventh day, and for a normal mission on the fifteenth day. End of logical page 17. (S) Shortly after this exploit, tragedy befell the program. During a routine training flight on 5 January 1967, the fourth aircraft was lost, together with its pilot. The accident occurred during descent about 70 miles from the base. A fuel guage failed to function properly, and the aircraft ran out of fuel only minutes before landing. The pilot, Walter Ray, ejected but was killed when he failed to separate from the ejection seat before impact. The aircraft was totally destroyed. Its wreckage was found on 6 January and Ray's body recovered a day later. Through Air Force channels a story was released to the effect that an Air Force SR-71, on a routine test flight out of Edwards Air Force Base, was missing and presumed down in Nevada. The pilot was identified as a civilian test pilot, and the newspapers connected him with Lockheed. Flight activity at the base was again suspended during investigation of the causes both for the crash and for the failure of the seat separation device. (S) It is worth observing that none of the four accidents occurred in the high- Mach-number, high-temperature regime of flight. All involved traditional problems inherent in any aircraft. In fact, the OXCART was by this time performing at high speeds, with excellent reliability. (S) About May of 1967 prospects for deployment took a new turn. A good deal of apprehension was evident in Washington about the possibility that the Communists might introduce surface-to-surface missiles into North Vietnam, and concern was aggravated by doubts as to whether we could detect such a development if it occurred. The President asked for a proposal on the matter; CIA briefed the 303 Committee and once again suggested that the OXCART be used. Its camera was far superior to those on drones or on the U-2, its vul- nerability was far less. The State and Defense members of the Committee decided to re-examine the requirements and the political risks involved. While they were engaged in their deliberations, Director of Central Intelligence, Richard Helms, submitted to the 303 Committee another formal proposal to deploy the OXCART. In addition, he raised the matter at President Johnson's "Tuesday lunch" on 16 May, and received the Presidents approval to "go." Walt Rostow later in the day formally conveyed the President's decision, and the BLACK SHIELD deployment plan was forthwith put into effect. ---------------- (S) * Neither on this nor on other flights was there much trouble from sonic boom. To be sure, the inhabitants of a small village some 30 miles from the site were troubled as the aircraft broke through the sound barrier while gaining altitude. A change of course remedied this. At altitude OXCART produced no more than an ominous rumble on the ground and since the plane was in- visible to the naked eye no one associated this sound with its actual source. End of logical page 18. (C)departed on 24 May and arrived at Kadena five hours and 55 minutes later. The third, No. 129, left according to plan on 26 May 1967 and proceeded nor- mally until in the vicinity of Wake Island where the pilot experienced difficulties with the inertial navigation and communications systems. In the circumstances, he decided to make a precautionary landing at Wake Island. The prepositioned emergency recovery team secured the aircraft without incident and the flight to Kadena resumed next day. (C) Arrangements were made to brief the Ambassadors and Chiefs of Station in the Philippines, Formosa, Thailand, South Vietnam, and Japan, and the High Commissioner and Chief of Station, Okinawa. The Prime Ministers of Japan and Thailand were advised, as were the President and Defense Minister of the Republic of China. The Chiefs of the Air Force of Thailand and the Republic of China were also briefed. Reactions were favorable. (S) On 29 May 1967, the unit at Kadena was ready to fly an operational mis- sion. Under the command of Colonel Hugh C. Slater two hundred and sixty personnel had deployed to the BLACK SHIELD facility. Except for hangars, which were a month short of completion, everything was in shape for sustained operations. Next day the detachment was alerted for a mission on 31 May, and the moment arrived which would see the culmination of ten years of effort, worry, and cost. As fate would have it, on the morning of the 31st heavy rain fell at Kadena. Since weather over the target area was clear, preparations continued in hopes that the local weather would clear. When the time for take-off approached, the OXCART, which had never operated in heavy rain, taxied to the runway, and took off while the rain continued. (S) The first BLACK SHIELD mission followed one flight line over North Vietnam and one over the Demilitarized Zone. It lasted three hours and 39 minutes, and the cruise legs were flown at Mach 3.1 and 80,000 feet. Results were satisfactory. Seventy of the 190 known SAM sites in North Vietnam were photographed, as were nine other priority targets. There were no radar signals detected, indicating that the first mission had gone completely unnoticed by both Chinese and North Vietnamese. 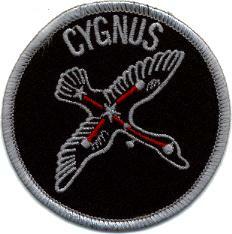 (S) Fifteen BLACK SHIELD missions were alerted during the period from 31 May to 15 August 1967. Seven of the fifteen were flown and of these four detected radar tracking signals, but no hostile action was taken against any of them. By mid-July they had determined with a high degree of confidence that there were no surface-to-surface missiles in North Vietnam. End of logical page 19. (C)conditions had to be propitious also in the refueling areas and at the launch and recovery base. (C) Operations and maintenance at Kadena began with the receipt of alert notification. Both a primary aircraft and pilot and a back-up aircraft and pilot were selected. The aircraft were given thorough inspection and servicing, all systems were checked, and the cameras loaded into the aircraft. Pilots received a detailed route briefing in the early evening prior to the day of flight. On the morning of the flight a final briefing occurred, at which time the condition of the aircraft and its systems was reported, last-minute weather forecasts reviewed, and other relevant intelligence communicated together with any amendments or changes in the flight plan. Two hours prior to take- off the primary pilot had a medical examination, got into his suit, and was taken to the aircraft. If any malfunctions developed on the primary aircraft, the back-up could execute the mission one hour later. (S) A typical route profile for a BLACK SHIELD mission over North Vietnam included a refueling shortly after take-off, south of Okinawa, the planned photographic pass or passes, withdrawl to a second aerial refueling in the Thailand area, and return to Kadena. So great was the OXCART's speed that it spent only 12 1/2 minutes over North Vietnam in a typical "single pass" mission, or a total of 21 1/2 minutes on two passes. Its turning radius of 86 miles was such, however, that on some mission profiles it might be forced during its turn to intrude into Chinese airspace. (S) Once landed back at Kadena, the camera film was removed from the aircraft, boxed, and sent by special plane to the processing facilities. Film from earlier missions was developed at the Eastman Kodak plant in Rochester, New York. By late summer an Air Force Center in Japan carried out the processing in order to place the photointelligence in the hands of American commanders in Vietnam within 24 hours of completion of a BLACK SHIELD mission. (S) Between 16 August and 31 December 1967, twenty-six missions were alerted. Fifteen were flown. On 17 December one SAM site tracked the vehicle with its acquisition radar but was unsuccessful with its Fan Song guidance radar. On 28 October a North Vietnamese SAM site for the first time launched a single, albiet unsuccessful, missile at the OXCART. Photography from this mission documented the event with photographs of missile smoke above the SAM firing site, and with pictures of the missile and of its contrail. Electronic countermeasures equipment appeared to perform well against the missile firing. (S) During the flight of 30 October 1967, pilot Dennis Sullivan detected radar tracking on his first pass over North Vietnam. Two sites prepared to launch missiles but neither did. During the second pass at least six missiles were fired at the OXCART, each confirmed by missile vapor trails on mission photog- raphy. Sullivan saw these vapor trails and witnessed three missile detonations. Post-flight inspection of the aircraft revealed that a piece of metal had penetrated the lower right wing fillet area and lodged against the support structure of the wing tank. The fragment was not a warhead pellet but may have been a part of the debris from one of the missile detonations observed by the pilot. End of logical page 20. (C) Between 1 January and 31 March 1968 six missions were flown out of fifteen alerted. Four of these were over North Vietnam and two over North Korea. The first mission over North Korea on 26 January occurred during a very tense period following seizure of the Pueblo on the 23rd. The aim was to discover whether the North Koreans were preparing any large scale hostile move on the heels of this incident. Chinese tracking of the flight was apparent, but no missiles were fired at the plane. (C) The Department of State was reluctant to endorse a second mission over North Korea for fear of the diplomatic repercussions which could be expected if the aircraft came down in hostile territory. Brigadier General Paul Bacalis then briefed Secretary Rusk on the details and objectives of the mission, and assured him that the aircraft would transit North Korea in no more than seven minutes. He explained that even if some failure occurred during flight the aircraft would be highly unlikely to land either in North Korea or in China. Secretary Rusk made suggestions to alter the flight plan, thus becoming the projects highest ranking flight planner. (C) Between 1 April and 9 June 1968 two missions were alerted for North Korea. Only the mission which flew on 8 May was granted approval. (S) All through the OXCART program the Air Force had been exceedingly helpful. it gave financial support, conducted the refueling program, provided operational facilities at Kadena, and air-lifted OXCART personnel and supplies to Okinawa for the operations over Vietnam and North Korea. It also ordered from Lockheed a small fleet of A-11's, which upon being finished as two seated reconnaissance aircraft would be named SR-71. These would become operational about 1967. (S) The stated mission of the SR-71 was to conduct "post-strike reconnais- sance," that is, to look the enemy situation over after a nuclear exchange. The likelihood of using the aircraft in the capacity hardly appeared great, but SR-71 was of course also capable of ordinary intelligence missions. For these purposes, however, the OXCART possessed certain clear advantages. It carried only one man, and largely for this reason it had room for a much bigger and better camera, as well as for various other collection devices which at the time could not be carried by the SR-71. It was certainly the most effective reconnaissance aircraft in existence, or likely to be in existence for years to come. Also it was operated by civilians, and could be employed covertly, or at least without the number of personnel and amount of fanfare normally attending an Air Force operation. (S) The fact the SR-71's were ordered eased the path of OXCART develop- ment, since it meant that the financial burden was shared with the Air Force, and the cost per aircraft was somewhat reduced by producing greater numbers. In the longer run, however, the existence of SR-71 spelled the doom of OXCART, for reasons which appear to have been chiefly financial and in a manner now to be related. End of logical page 21. (S) During November 1965, the very month when OXCART was finally declared operational, the moves toward its demise commenced. Within the Bureau of the Budget a memorandum was circulated expressing concern at the costs of the A-12 and SR-71 programs, both past and projected. It questioned the requirement for the total number of aircraft represented in the combined fleets, and doubted the necessity for a separate CIA (OXCART) fleet. Several alternatives were proposed to achieve a substantial reduction in the forecasted spending, but the recommended course was to phase out the A-12 program by September 1966 and stop any further procurement of SR-71 aircraft. Copies of this memorandum were sent to the Department of Defense and the CIA with the suggestion that those agencies explore the alternatives set out in the paper. But the Secretary of Defense declined to consider the proposal, presumably because the SR-71 would not be operational by September 1966. (S)The study group included C. W. Fischer, Bureau of the Budget; Herbert Bennington, Department of Defense; and John Paragosky, Central Intelligence Agency. 1. To maintain the status quo and continue both fleets at current approval levels. End of logical page 22. (S)prepare a letter to the President stating CIA's reasons for remaining in the reconnaissance business. (S) On 16 December Mr. Schultze handed Mr. Helms a draft memorandum to the President which requested a decision either to share the SR-71 fleet between CIA and SAC, or to terminate the CIA capability entirely. This time Mr. Helms replied that new information of considerable significance had been brought to his attention concerning SR-71 performance. He requested another meeting after 1 January to review pertinent facts, and also asked that the memorandum to the President be withheld pending that meeting's outcome. Specifically, he cited indications that the SR-71 program was having serious technical problems and that there was real doubt that it would achieve an operational capability by the time suggested for termination of the A-12 program. Mr. Helms therefore changed his position from sharing the SR-71 aircraft with SAC to a firm recommendation to retain the OXCART A-12 fleet under civilian sponsorship. The Budget Bureau's memorandum was neverthe- less transmitted to the President, who on 28 December 1966 accepted the recommendations of Messrs. Vance, Hornig, and Schultze, and directed the termination of the OXCART Program by 1 January 1968. (S) This decision meant that a schedule had to be developed for orderly phase-out. After consultation with project Headquarters, the Deputy Secretary of Defense was advised on 10 January 1967 that four A-12's would be placed in storage in July 1967, two more by December, and the last four by the end of January 1968. In May Mr. Vance directed that the SR-71 assume contingency responsibility to conduct Cuban overflights as of 1 July 1967 and take over the dual capability over Southeast Asia and Cuba by 1 December 1967. This provided for some overlap between OXCART withdrawal and SR-71 assump- tion of responsibility. (S) Meanwhile until 1 July 1967 the OXCART Detachment was to maintain its capability to conduct operational missions both from a prepared location overseas and from the US. This included a 15 day quick reaction capability for deployment to the Far East and a seven-day quick reaction for deployment over Cuba. Between 1 July and 31 December 1967 the fleet would remain able to conduct operational missions either from a prepared overseas base or from home base, but not from both simultaneously. A quick reaction capability for either Cuban overflights or deployment to the Far East would also be maintained. (S) All these transactions and arrangements occurred before the OXCART had conducted a single operational mission or even deployed to Kadena for such a mission. As recounted above, the aircraft first performed its appointed role over North Vietnam on the last day of May 1967. In succeeding months it demonstrated both its exceptional technical capabilities and the competence with which its operations were managed. As word began to get around that OXCART was to be phased out, high officials commenced to feel some disquiet. Concern was shown by Walt Rostow, the President's Special Assistant; by key Congressional figures, members of the President's Foreign Intelligence Advisory Board, and the President's Scientific Advisory Commit- tee. The phase-out lagged, and the question was reopened. End of logical page 23. (S) A new study of the feasibility and cost of continuing the OXCART program was completed in the spring of 1968 and four new alternatives were proposed. (S) Mr. Helms expressed his reactions to these alternatives in a memorandum to Messrs. Nitze, Hornig, and Flax, dated 18 April 1968. In it he questioned why, if eight SR-71's could be stored in one option, they could not be stored in all the options, with the resultant savings applied in each case. He questioned the lower cost figures of combining the OXCART with the SR-71's and disagreed, for security reasons, with collocating the two fleets. Above all, however, he felt that the key point was the desirability of retaining a covert re- connaissance capability under civilian management. It was his judgement that such a requirement existed, and he recommended that OXCART continue at its own base under CIA management. (S) In spite of all these belated efforts, the Secretary of Defense on 16 May 1968 reaffirmed the original decision to terminate the OXCART Program and store the aircraft. At his weekly luncheon with his principal advisors on 21 May 1968, the President confirmed Secretary Clifford's decision. (S) Early in March 1968, USAF SR-71 aircraft began to arrive at Kadena to take over the BLACK SHIELD commitment, and by gradual stages the A-12 was placed on standby to back up the SR-71. The last operational mission flown by OXCART was on 8 May 1968 over North Korea, following which the Kadena Detachment was advised to prepare to go home. Project Headquarters selected 8 June 1968 as the earliest possible date to begin redeployment, and in the meantime flights of A-12 aircraft were to be limited to those essential for maintaining flying safety and pilot proficiency. After BLACK SHIELD aircraft arrived in the US they would proceed to storage. Those already at base were placed in storage by 7 June. (S) During its final days overseas the OXCART enterprise suffered yet another blow, as inexplicable as it was tragic. On 4 June Aircraft No. 129, piloted by Jack Weeks, set out from Kadena on a check flight necessitated by a change of engine. Weeks was heard from when 520 miles east of Manila. Then he disappeared. Search and rescue operations found nothing. No cause for the accident was ever ascertained, and it remains a mystery to this day. Once again the official news release identified the lost aircraft as an SR-71 and security was maintained. End of logical page 24. (S) A few days afterwards the two remaining planes on Okinawa flew to the US and were stored with the remainder of the OXCART family. (S) In summary; the OXCART Program lasted just over ten years, from its in- ception in 1957 through first flights in 1962 to termination in 1968. 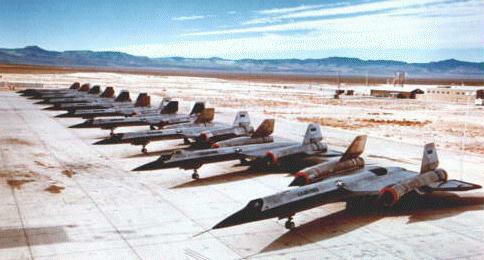 Lockheed produced 15 OXCARTS, three YF-12A's and 31 SR-71's. The 49 supersonic aircraft had completed more than 7,300 flights, with 17,000 hours in the air. Over 2,400 hours had been above Mach 3. Five OXCART's were lost in accidents; two pilots were killed, and two had narrow escapes. In addition, two F-101 chase planes were lost with their Air Force pilots during OXCART's testing phase. (U) The main objective of the program-to create a reconnaissance aircraft of unprecedented speed, range, and altitude capability-was triumphantly achieved. It may well be, however, that the most important aspects of the effort lay in its by-products--the notable advances in aerodynamic design, engine performance, cameras, electronic countermeasures, pilot life support systems, antiair devices, and above all in milling, machining, and shaping titanium. Altogether it was a pioneering accomplishment. (S) In a ceremony at the Nevada base on 26 June 1968, Vice Admiral Rufus L. Taylor, Deputy Director of Central Intelligence, presented the CIA Intelligence Star for valor to pilots Kenneth S. Collins, Ronald L. Layton, Francis J. Murray, Dennis B. Sullivan, and Mele Vojvodich for participation in the BLACK SHIELD operation. The posthumous award to pilot Jack W. Weeks was accepted by his widow. The United States Air Force Legion of Merit was presented to Colonel Slater and his Deputy, Colonel Maynard N. Amundson. The Air Force Outstanding Unit Award was presented to the members of the OXCART Detachment (1129th Special Activities Squadron, Detachment 1) and the USAF supporting units. (U) Wives of the pilots were present and learned for the first time of the activ- ities in which their husbands had been involved. Kelly Johnson was a guest speaker at the ceremony, and lamented in moving words the end of an enterprise which had marked his most outstanding achievement in aircraft design. His own awards had already been received: The Presidents Medal of Freedom in 1964, and on 10 February 1966, the National Medal of Science, from President Johnson, for his contributions to aerospace science and to the national security.